Now offering FREE High-Speed Internet Access in ALL rooms. The La Quinta Inn-College Station is across the street from Texas A&M University, with shuttle service to campus buildings. 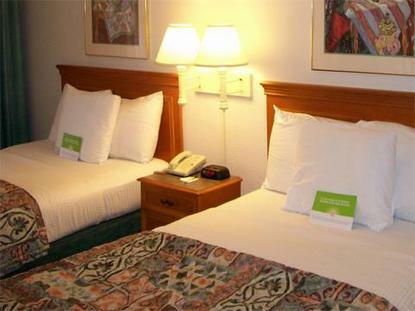 Our location affords easy access to all area attractions, restaurants, and bars including the renowned Dixie Chicken. From here, it's easy to reach events at Brazos Center, Kyle Field Stadium, and Reed Arena. Visit the George Bush Presidential Library, Texas World Speedway, and downtown Bryan.